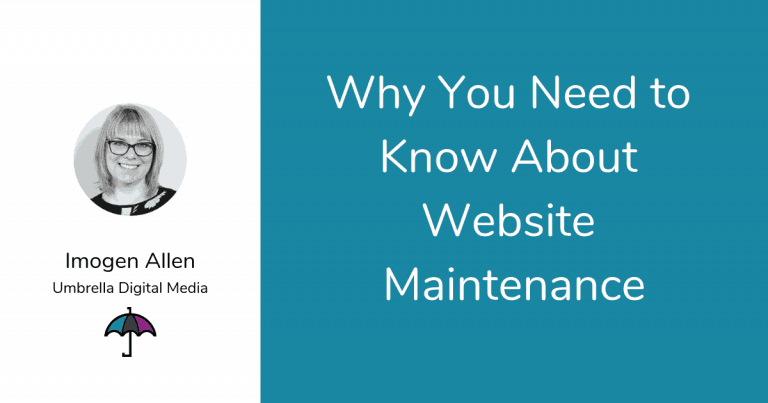 What is website maintenance for WordPress websites and what does it look like? Unless you work with WordPress on a regular basis you may not appreciate what needs to be done to keep it up to date, safe and secure at all times. Think of website maintenance like you would a car. You need to regularly keep your car in good working order otherwise things start to go wrong. They say that preventative care is better than fixing something in a crisis and this is true of websites. Just like a well-oiled car, websites need ongoing tender loving care to make sure that they work smoothly. Think of a website like an ever-evolving thing. A website is always changing. The software that helps a WordPress website do what it does always needs to be kept up to date, to keep with the most crucial updates and to make sure that it is constantly free of vulnerabilities and is performing at its best. Let’s think about the car again. When you buy a car, you are very happy when you’re driving your brand new car out of the garage. It’s gleaming and it runs very smoothly and you’re delighted! 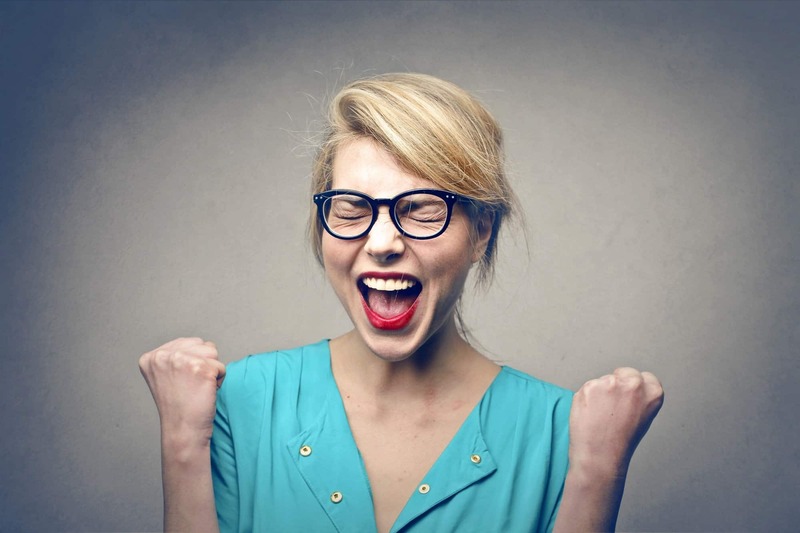 When you have your new website you can feel much the same. A brand new website, the perfect website for your business and you’re very proud to show it off and tell the world! Just like the car you bought, you drive it but in order to keep it running so smoothly you need to look after it. You need to give it tender loving care on a regular basis full. You need to top up the screenwash, the oil and the petrol to keep it going. You also need to do regular checks when you take it to the garage where they make sure that the car is running smoothly and has no loose nuts and bolts. So when you buy a new car you don’t just drive it away without keeping it serviced. You know that you have to keep maintaining the car so it works and drives at his best and it is safe and secure for its driver and passengers. This is the best way I can explain to you why website maintenance is so important. A WordPress website is made up of different components. The WordPress software itself is constantly being updated, enhanced with performance and security features and the plug-ins that are used to help the website to do certain tasks also need to be kept up to date in the same way. Things never stay the same and technology changes all the time as we know! There are other issues that you need to think about too. The content on your website will be ever evolving. As your business changes and grows so will the content and the message that you want to give. Your products and services will change and you want to let people who visit your website know that the information they are reading is up-to-date and relevant. If you have visited a website that looks out of date or is clearly broken, what do you do? Do you stay or do you move on to somewhere else? What are the Benefits of Website Maintenance? The biggest benefit is taking away the worry and giving you peace of mind. You don’t have to constantly keep an eye on your website to make sure everything is always working or whether the website is down. The likelihood is that you wouldn’t know your website was down unless you were keeping track of it every moment of the day. If you have an e-commerce website you could be losing valuable business as your website goes down and you may not know about it immediately. The website’s performance, it’s uptime and downtime, is all dependent on the WordPress software functioning as it should. How Do you Know if Website Maintenance is for You? Whether you want website maintenance or not comes down to two things. 1. Do you have the knowledge and the expertise to do these things yourself? 2. Do you have the time or the inclination to do it all yourself? The problem is unless you have a lot of experience with managing WordPress websites there are reasons why you shouldn’t really do it yourself. The problem with doing it yourself is that knowing a little can sometimes get you into trouble. You don’t necessarily keep a log of everything that you do on your website and so when things do go wrong it’s hard to trace it back to where the problem could have occurred. You may not realise that you need to keep a backup of your website in case things do go wrong so you can restore the website to a previous version whilst you sort out the problem and find out what’s going on. If you have no backup, you have no website. You may forget to keep your website up to date and the next time you remember to go into the website you have lots of updates. You decide to update them all at the same time and your website dies. Now what? You only wanted to add your blog on to your website but it took you two hours to work out how to do it. Couldn’t you have spent that time more wisely doing other things in your business that are a far better use of your time? You’re on your own. You have the worry on your own shoulders. You don’t have anybody to ask whether it’s right or wrong. You try a quick Google Search to help you fix something but you don’t really understand it. Think of it this way if your car was making strange noises and not running very well would you try and fix what’s under the bonnet yourself or would you take it to a garage? I think I know what I would do. The biggest benefit of a website maintenance care plan is peace of mind. Having someone whom you trust to take care of everything is a real weight off your mind. It saves you tons of time! Sending off a support request to get something updated on your website takes minutes, not lost hours. You also have someone that cares about your business and cares about you. 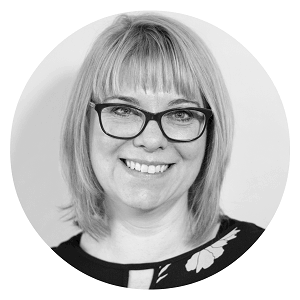 I want to build great relationships with the businesses I look after and be more than just looking after the nuts and bolts.I want to help your business move forward and really get your website working for you. How Do the Website Maintenance Care Plans Work? 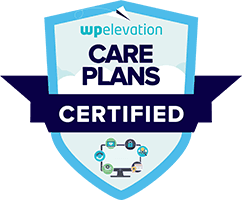 The website care plans are divided into different levels of care. A backup is made of your website on a daily basis and the updates are dealt with on a weekly or monthly basis depending on your plan. Updates are tested in a safe “non-live” environment to make sure there are no issues before going live on your own site. Performance and security scans are regularly made so that any vulnerability so picked up easily and quickly if there is an issue with the site. What is NOT Covered in a Website Care Plan? As much as anyone can make a website safe and secure as possible it still would not prevent a hacking attack or having infected malware on the website. What maintenance does is to minimise the possibility of these extremes happening because everything is up to date. The longer that software updates are left unresolved, the more likely the vulnerability will occur. What you do get is support help and guidance if this happens and as your webmaster, I would liaise with your hosting company if you are in this situation and get you the right help to get this type of situation resolved. It’s just like a car. You can service it, oil it, maintain it but parts can still break. Hopefully, the damage is not as bad because you have been regularly maintaining it. A website maintenance plan that really cares. For me, my website care plans are just an extension of the relationship I like to have with clients. Clients who I build websites for most often than not move on to the website care plans with me so I can carry on looking after them. After all, I know their site better than anyone. What if Someone Else Built my Website? If you have a website that was built by someone else that you can have a website maintenance care plan with me. There’s a bit more work to do in the beginning to see if we are a good fit and whether I can assist you. 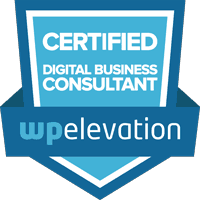 I undertake a website evaluation before taking new clients with existing websites on a maintenance website care plan. This enables me to get a good overview of the current website and I provide a report which gives you an overview of any issues and the solutions to how they can be resolved and we take it from there. What Happens When a Website has No Maintenance? The moral of the story can be told well by those who have websites but don’t have website maintenance care plans…. It costs more to fix a broken website than to maintain it. An unloved website will become out of date and will affect its functionality and look. When this happens you have two choices; one is to try and fix it yourself which may make the situation worse or you can pay (a hefty price) for someone with experience to fix it. Think of your car again. When you don’t have regular servicing, everything starts to go wrong all at the same time you’re often faced with a huge bill to pay rather than an easier option of paying little and often so you’re not faced with this scenario. If you’ve read this article and you can identify with some of the issues raised and you have questions you might like to ask, then feel free to get in touch or comment on the blog below.